Don’t struggle with addition by yourself. There are a number of services and support in the East Sussex area. Port of Call offers confidential and impartial advice to help you get the support you need. Our experts are at the end of the phone and can give you all the information you need to start the first chapter of your recovery story. We work with a number of professional and well-regarded rehab and counselling facilities in East Sussex so we can help you tailor a recovery programme to suit your situation. Among the quaint seaside villages in East Sussex is an exceptional network of specialised treatment facilities. All are dedicated to helping you battle your addictions. A phone call to Port of Call could be the first step you need to take to rebuild your life without addiction. From an initial assessment, we will be able to advise you on the right treatment centre either in your area or further afield. Our team can also help you secure immediate admission into these facilities and provide aftercare to support you once you’ve completed your intense treatment. Whether you’re struggling with drug, alcohol, gambling or other substance abuse, there is help available. 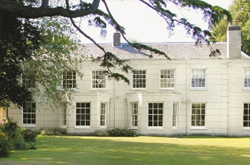 There are a number of excellent residential rehab centres across East Sussex and beyond. These facilities will help you focus solely on recovery by getting to the root causes of your addiction. After leaving rehab you can take up an aftercare services which can help you stay focused on your recovery. As well as peer programmes, where you can maximise your chances of staying addiction-free through confidential group support meetings. Give us a call or text us on 08000029010. Alternatively, email us at help@portofcall.com for tailored advice. Seeing a friend, colleague, partner or relative struggling with an addiction can be heartbreaking but, there are ways in which you can help them if they’re reluctant to admit there have a problem. With help from Port of Call, you can stage an intervention in a safe and productive environment. Our qualified counsellors are on hand to help your loved one find the strength to begin their recovery straight after the intervention. Get in touch on 08000029010 to speak to our experts who can help you through the process. What happens in rehab in East Sussex? Your experience in rehab will depend on your type of addiction and what you hope to achieve when you leave the centre. Each rehabilitation facility will operate differently but most will help you tackle withdrawal and address the underlying issues surrounding your addiction. Completing a rehab programme may well be the biggest challenge you will face in your life, but once you’re through the other side, it’ll be worth it. Get in touch to discuss with our experts the treatment options that are available in East Sussex. You can also email us at help@portofcall.com for further information.